Royal Enfield has splashed its colors all over the the country. The demand for more bikes, with the ever increasing waiting list had forced the company to set up a new plant. With more production in hand the company is bringing minor tweaks in their current production so that they can lure more buyers. Having a thumping engine slaving under your command and an improved built quality you can now add new colors to your ride. 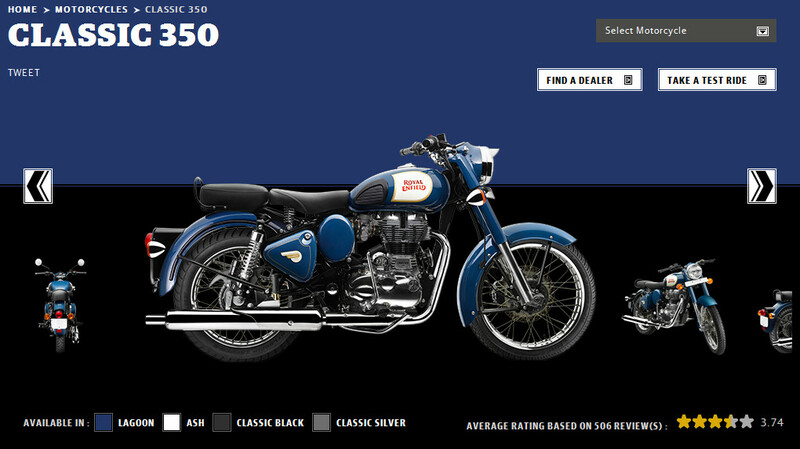 Royal Enfield has classified their bikes into Cafe racers, Cruisers, Retro Street and Standard Street. The arrival of new colors is only for Cruiser and Retro street segments, leaving standard Street and Cafe Racer segment untouched. 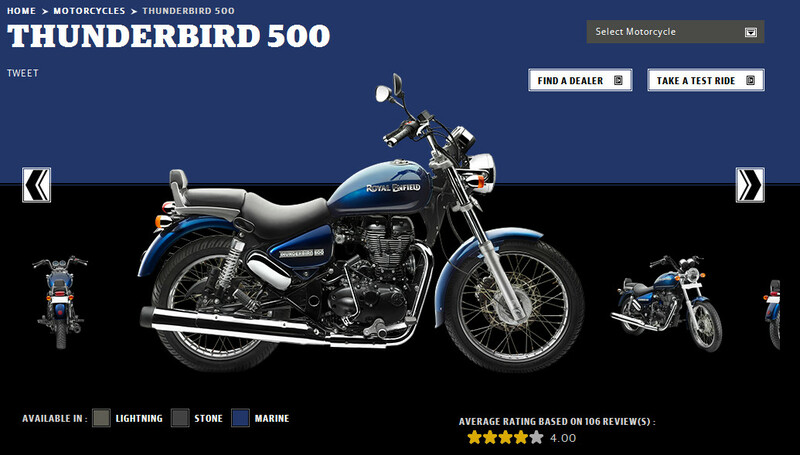 The Cruiser segment includes the Thunderbird 500 and 350. Previously available in shades of black, they were black, matt black and twilight which was a dark shade of blue. Matt black was only available with the Thunder Bird 500. 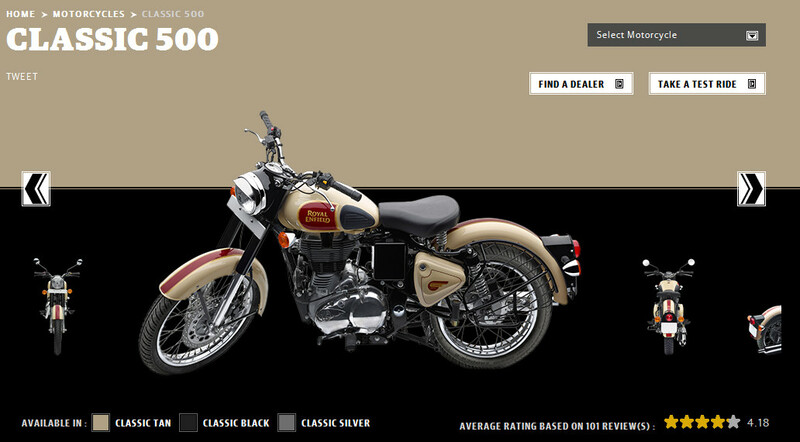 The new colors are Lightning which is dark brownish green shade, a very new color for Royal Enfield. Then they have introduced Marine which is a light shade of blue. Moving on to the next segment, Retro street includes the Classics. Dessert storm, Classic 350 and 500 and Classic chrome. No changes in the Chrome, Dessert storm and the Black and Silver variants of the classic 350, Royal Enfield has added more Vibrant colors changing the overall feel and richness of the bikes. Classic 500 comes in three new colors, Classic tan, Classic black and Classic Silver. Classic tan being a completely new color having a combination of maroon and light brown paint job. The rest of the body work remains the same, however there are strips on the front and rear fenders bordered by golden pin stripes. In case of Classic tan the strip is maroon in color while Classic black and Classic Silver paint jobs would have white and black respectively. The Classic 350 would be available in two new colors, namely Lagoon and Ash. Rest of the body work is the same. Talking about the new logo, Royal Enfield written on the tank of Thunder Bird has a new font now. The outlined font is now changed to solid chrome styling in 3D giving a unique look to the bike. All other specifications remaining the same Royal Enfield’s plan to lure more clients is certainly going to work in their favor.